Loss on drying 1.00 % w/w Max. Purity (on dry basis) 99.00 % w/w Min. Synonyms Chile Saltpeter; Cubic nitre; Soda nitre. Purity (On dry basis) by KMnO4 titration 99.00 % w/w Min. Alkalinity as Na2CO3 or NaOH by H2SO4 titration 0.20 % w/w Max. Chloride as Cl by Nitrobenzene 0.10 % w/w Max. Sodium Nitrate by PDSA 1.00 % w/w Max. Water insoluble 0.05 % w/w Max. Sulphate as SO4 by turbidity 0.08 % w/w Max. Iron as Fe by Potassium thiocyanate 0.002 % w/w Max. Heavy metal as Pb by visual colorimetric 0.005 % w/w Max. 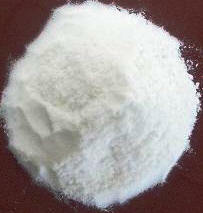 The material can also be offered without anti-caking agent. It is extensively used in oil well drilling, fracturing or fracking. Sodium Nitrite contains not less than 97.0 percent and not more than 101.0 percent of NaNO2, calculated on the dried basis. Identification: A solution of it responds to the tests for Sodium and for Nitrite. Loss on drying: Dry it over silica gel for 4 hours: it loses not more than 0.25% of its weight. Heavy metals: Dissolve 1 g in 6 mL of 3 N hydrochloric acid, and evaporate on a steam bath to dryness. Reduce the residue to a coarse powder, and continue heating on the steam bath until the odor of hydrochloric acid no longer is perceptible. Dissolve the residue in 23 mL of water, and add 2 mL of 1 N acetic acid: the limit is 0.002%. Content: 98.5 per cent to 100.5 per cent (dried substance). Appearance: Colourless crystals or mass or yellowish rods, hygroscopic. Solubility: Freely soluble in water, soluble in alcohol. A. Dilute 1 ml of solution S1 (see Tests) to 25 ml with water R. To 0.1 ml of the solution add 1 ml of sulphanilic acid solution. Allow to stand for 2-3 min. Add 1 ml of b-naphthol solution and 1 ml of dilute sodium hydroxide solution R. An intense red colour develops. B. To 1 ml of the solution prepared for identification test A add 3 ml of a 20 g/l solution of phenazone and 0.4 ml of dilute sulphuric acid. An intense green colour develops. C. To 0.15 ml of solution S1, add 0.35 ml of water R. The solution gives reaction of sodium. Solution S1: Dissolve 2.5 g in carbon dioxide-free water and dilute to 50 ml with the same solvent. Solution S2: Dissolve 3 g in distilled water. Cautiously add 10 ml of nitric acid and evaporate to dryness. Dissolve the residue in 10 ml of distilled water R, neutralize with dilute sodium hydroxide solution and dilute to 30 ml with distilled water. Appearance of solution: Solution S1 is clear and not more intensely coloured than reference solution. Acidity or alkalinity: To 10 ml of solution S1, add 0.05 ml of phenol red solution. Add 0.1 ml of 0.01 M sodium hydroxide. The solution is red. Add 0.3 ml of 0.01 M hydrochloric acid. The solution is yellow. Dilute 10 ml of solution S2 to 15 ml with water. The solution complies with the limit test for chlorides. Loss on drying: Maximum 1.0 per cent, determined on 1.000 g by drying in vacuum. 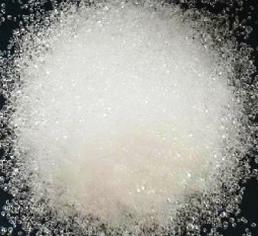 Sodium Nitrite occurs as a white to slightly yellow, granular powder, or as white or nearly white, opaque, fused masses or sticks. It is hygroscopic in air. Its solutions are alkaline to litmus. One gram dissolves in 1.5 mL of water, but it is sparingly soluble in alcohol. Function: Color fixative in meat and meat products; antimicrobial agent; preservative. Identification: An aqueous solution gives positive tests for Sodium and for Nitrite. Assay: Not less than 97.0% and not more than 100.5% of NaNO2 after drying.